Have you seen the show on Discovery Channel Storm Chasers? I have watched it several times and find it fascinating. Its exciting to see all the extreme storms out there. Living in Cali we dont get very much extreme weather. Extreme weather when you are out in your car calls for a serious car to be able to handle it. 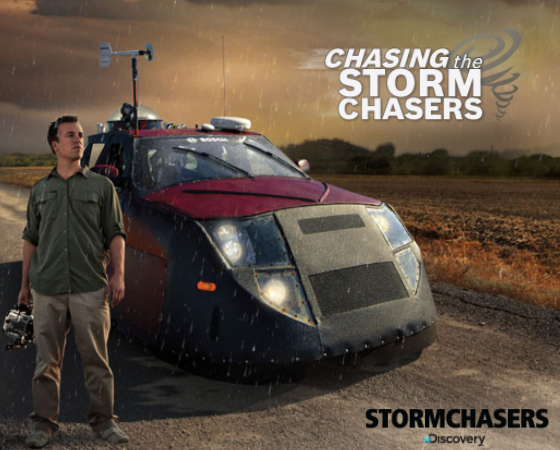 The Storm Chasers have the Dominator for their car. Reed Timmer from Storm Chasers tested out Bosch new ICON wiper blades in the The Dominator. Sounds like the perfect test car to me! Bosch has introduced the new ICON wiper blades. These bracketless wipers are designed without metal or plastic brackets, joints or hinges, which means they’re an improvement over conventional wiper blades. To celebrate the release of the ICON wiper blades, Bosch is holding a contest where one lucky Facebook fans will win an experience of a lifetime: an all-expenses-paid, five-night VIP Storm Chasing trip for you and a guest, with Reed Timmer of Discovery Channel’s Storm Chasers. You can learn more about the ICON wiper blades over at http://www.boschcleartheway.com. To help celebrate the New ICON Bosch Wiper Blades being tested by the Storm Chasers I am hosting a Giveaway for a Bosch prize-pack. *Limited to US residents; 18 years old and above. Giveaway starts January 12, 2012 and ends on January 31st , 2012 at midnight PST. Winner will be emailed and has 48 hours to respond before another winner is selected. I was not paid for this giveaway or post. The opinions on this item are 100% mine and may vary from others. The sponsor is responsible for providing the prize. I follow Frugal Family Tree on Twitter. I go to Auto Zone near me. I fllow Bosch on FB (Rust Hawk). I follow Bosch on twitter @rusthawk. I am following you on FB (Rust Hawk). AutoZone is where I bought my current Bosch Icons. I need to get new ones! Thank you for the chance to win a set! I like Bosch on FB as Jay Cee. I follow Bosch on twitter as bikeohio. I like your FB page as Jay Cee. I follow you on twitter as bikeohio. Oops forgot my 2nd entry for entering the Bosch and Storm Chasters FB contest! The closest store to me is in Apple Valley. I entered the Bosch storm chasers contest on facebook. I liked Bosch Auto on facebook. I followed Bosch Auto on twitter. I can get it at Advanced Auto. I like Bosch on fb.